Young people seeking apprenticeships need to stand out from the crowd by sharing their passions and practical skills, according to one employer. 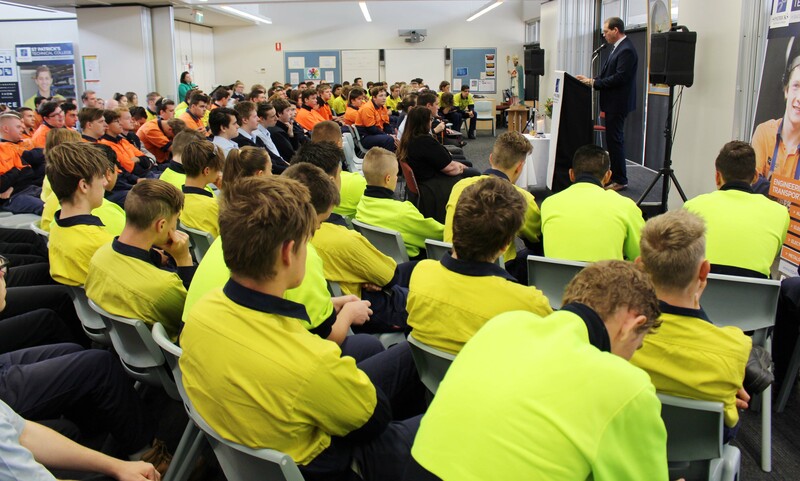 Workshop Training Manager from CMV Trucks, Troy Seyfang, stopped by St Patrick’s Technical College recently to speak with Year 11 and 12 Automotive studies students. CMV Trucks is in the processing of hiring apprentices to start in 2019 and Mr Seyfang said students need to ensure they stand out from the crowd by sharing with employers their hobbies, passions and aspirations. “I want you (the students) to tell me why you are a good fit for my business,’’ Mr Seyfang said. Mr Seyfang said StPatsTech students often fared well in securing work because of the strong workshop and technical skills they learn at the College. Mr Seyfang also urged the students to work hard on their Maths and English as both subjects are vital to being a good mechanic. 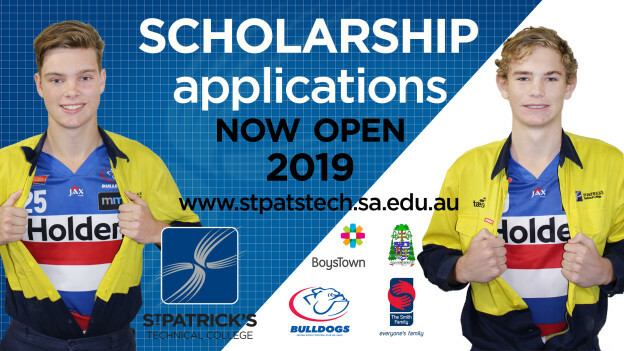 Enrolments are now open for 2019 and 2020 at StPatsTech. 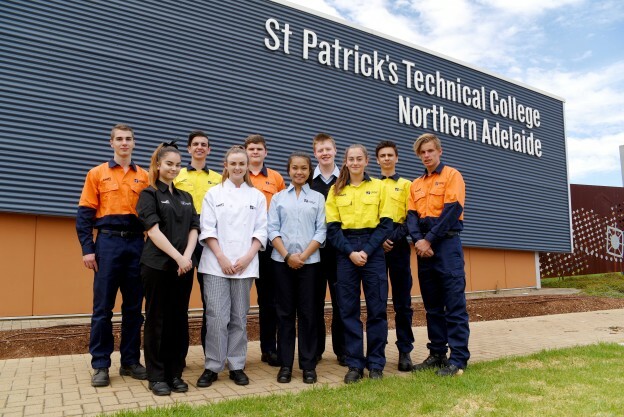 This entry was posted in Latest News, Media Releases on 11/09/2018 by St Patrick's Technical College. 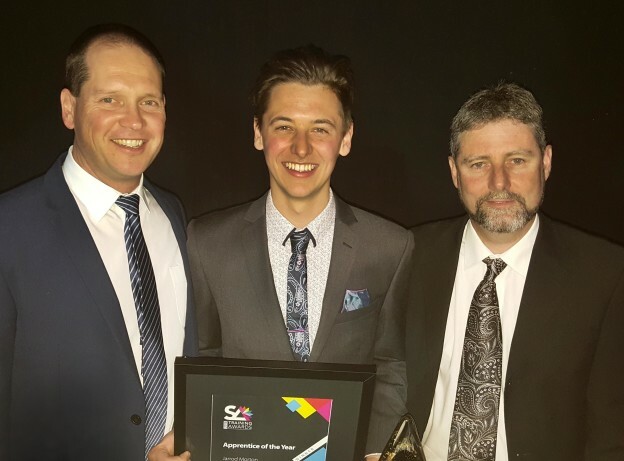 St Patrick’s Technical College is this week celebrating the announcement that Old Scholar Jarrod Morton has been named South Australia’s Apprentice of the Year at the 2018 SA Training Awards. Jarrod attended the College in 2013 and 2014 to study Applied Engineering (Electrotechnology). 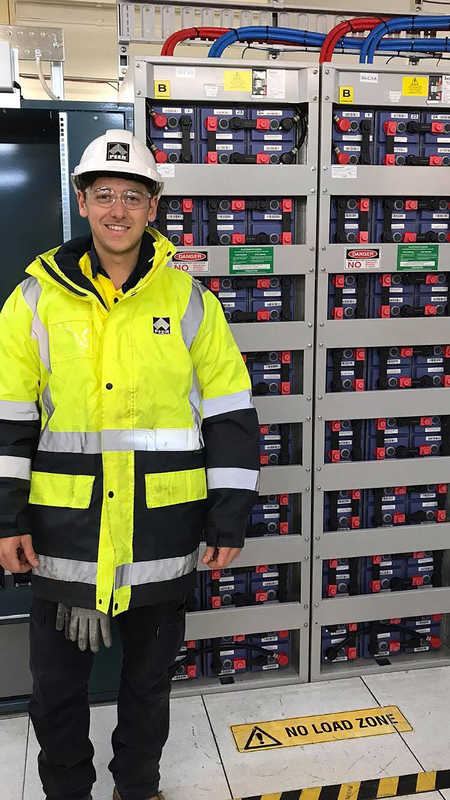 In June 2014, Jarrod secured a school-based apprenticeship through PEER with BW Thompson Electrical and recently completed his apprenticeship. Jarrod received his award at a gala event at the Adelaide Entertainment Centre on 7 September. 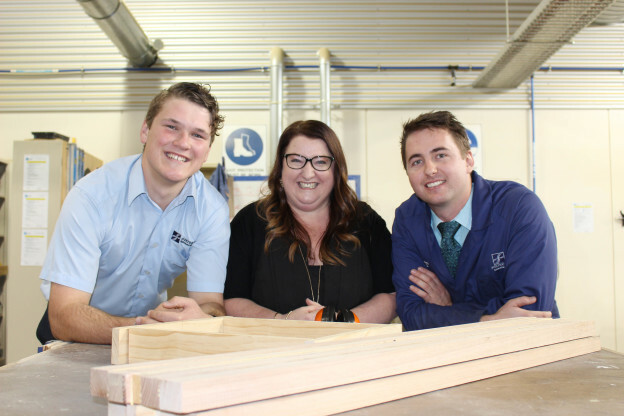 StPatsTech also saw two school-based apprentices, a teacher and industry program shortlisted as finalists for the awards. College Principal Danny Deptula congratulated Jarrod and the College’s other finalists Santiago Bribiesca Diaz, Cain Gerrits, Ms Linda Burton and the Northern Adelaide P-TECH partnership on their nominations. “The recognition of five finalists from StPatsTech is a clear indication that our unique approach to senior secondary education is hitting the right notes,’’ Mr Deptula said. 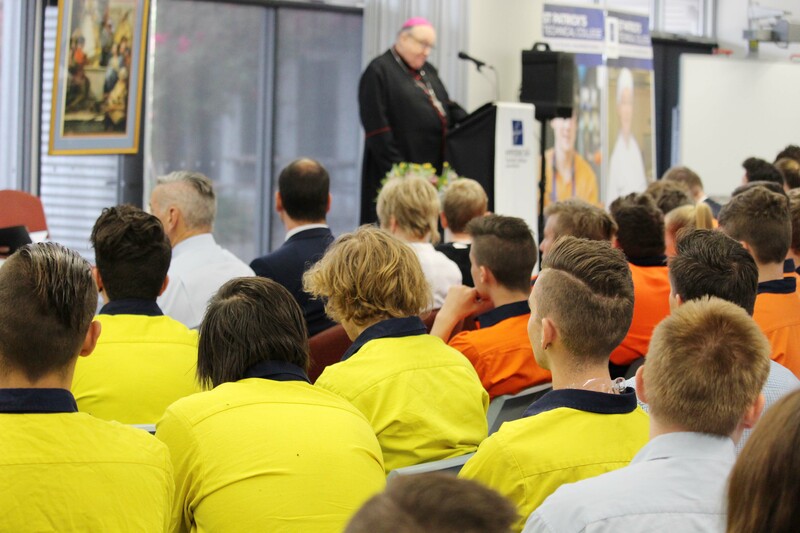 “Since 2007 we have seen nearly 900 young people commence an apprenticeship or traineeship while at the College. We are immensely proud of the College for its outstanding facilities, strong industry connections, knowledgeable teaching staff and consistent career outcomes for students. 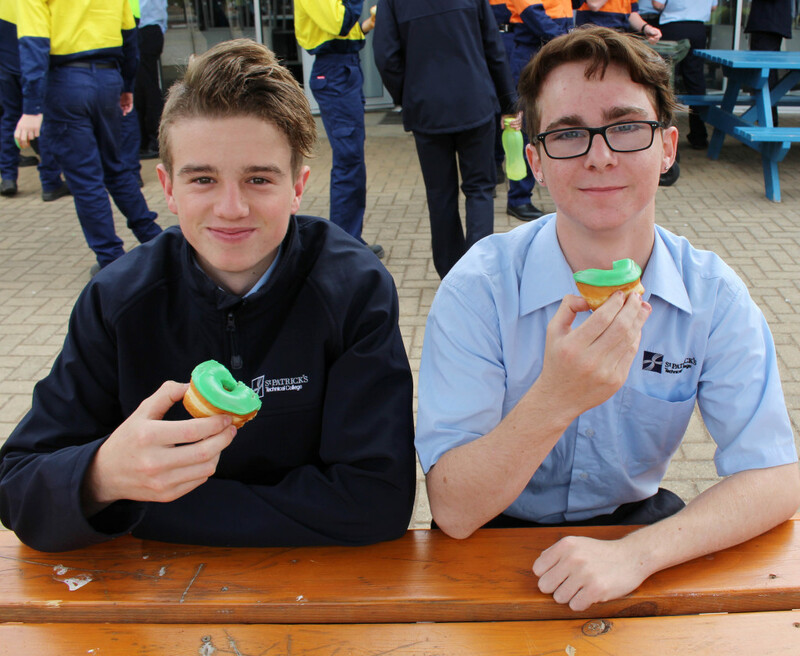 But even more, we are proud of the hundreds of young people, including Jarrod, who have taken control of their lives and careers by choosing to come to StPatsTech for Year 11 and 12. 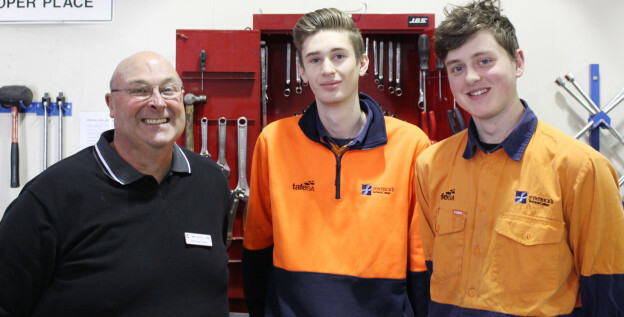 Jarrod joins StPatsTech Old Scholars Jack Donaldson (Class of 2011) who won SA Apprentice of the Year in 2016 and Alex Nikielski (Class of 2011) who won SA School-based Apprentice of the Year in 2011. 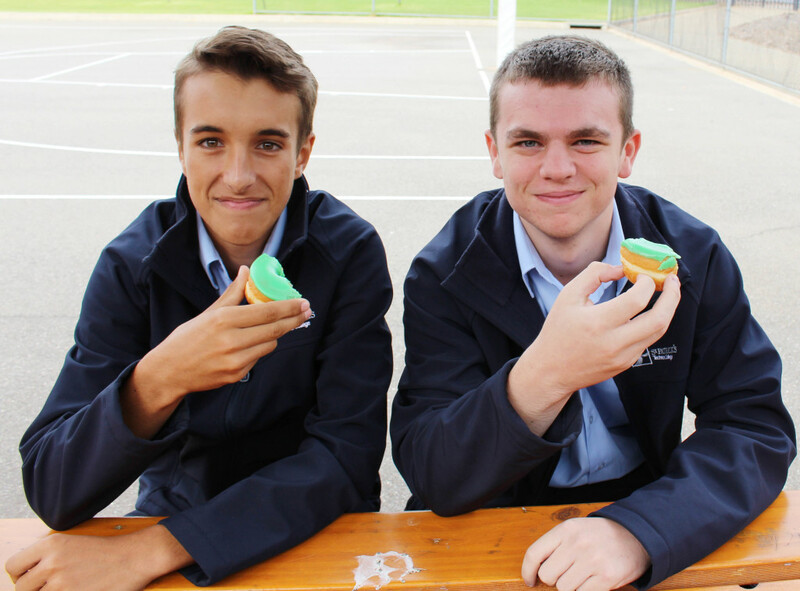 Jarrod’s mother Catherine said he had opted to join StPatsTech for Year 11 and 12 to get a more hands-on education. 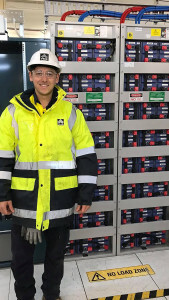 “Jarrod has always been very good at Maths and was considering going to university to do electrical engineering but he thought he would be better off doing the trade to understand how to be an electrician before doing the engineering degree,’’ Mrs Morton said. Jarrod is considering starting his degree shortly. “We are obviously really proud of Jarrod, his work ethic and his positive attitude. He has worked really hard so deserves this recognition,’’ Mrs Morton said. She said StPatsTech as a great choice for Jarrod, and his brother Connor who also attended the school and is an apprentice carpenter, because of the opportunities it opened to them both. 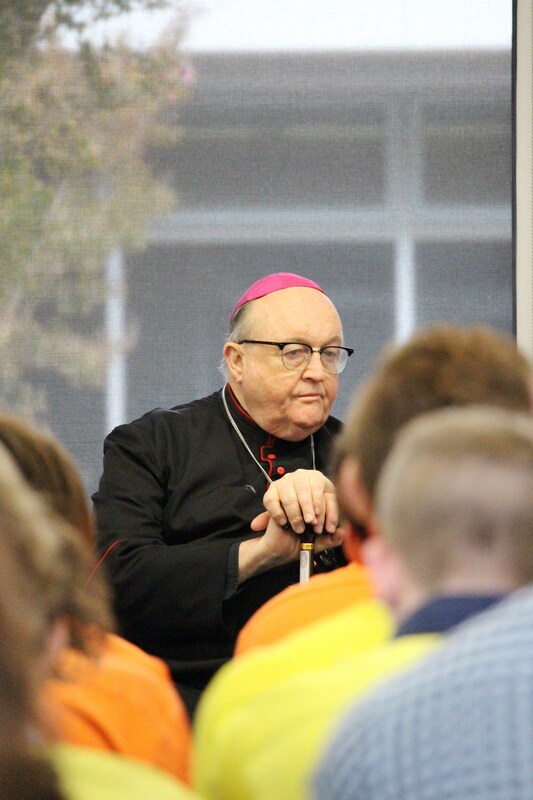 This entry was posted in Latest News, Media Releases on 10/09/2018 by St Patrick's Technical College. Students from the College will design and build a play area and dog accommodation for the Vinnie’s Women’s Crisis Centre in Adelaide. The 21 room crisis centre provides all meals and serviced rooms as well as kitchen, laundry and computer facilities for women in crisis. The facility is a child-friendly, pet-friendly service and provides women in crisis access to practical services to rebuild their lives. St Vincent de Paul Society’s Schools and Community Engagement Officer Jayne Short visited the College recently and met with the students and staff involved in the program. “I don’t know how we would do this play area without St Patrick’s Technical College being involved,’’ Ms Short said. Ms Short said the centre currently homes about 30 children at a time with hundreds expected through the doors in the coming years. “It’s very important to have a play area within the centre because women are frightened to access the public playgrounds. This playground will let the children play and the mums can relax. I know the play area will be fantastic and it will be very meaningful to our guests,’’ Ms Short said. SA police field 400 calls per week around domestic violence. The Vinnie’s Women’s Crisis Centre is supported by BankSA, West End Community Fund, La Donna Hygiene, CMV and RAA Security Services. This entry was posted in Media Releases on 04/05/2018 by St Patrick's Technical College. 17-year-old St Patrick’s Technical College student Bradley Grimes will spend the upcoming school holidays hoping to prove he could be one of Australia’s next Olympians. 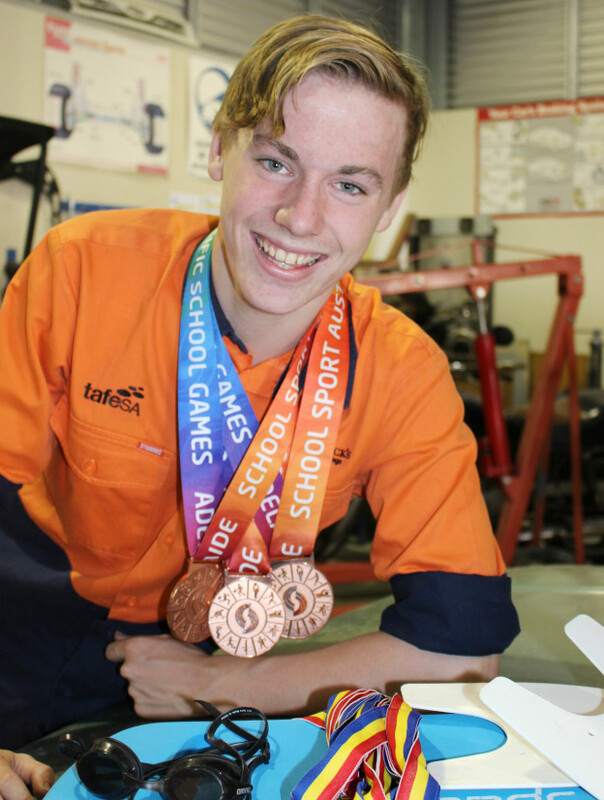 Bradley, who is studying StPatsTech College’s Automotive program, will be competing in the Georgina Hope Foundation Australian Age Swimming Championships in Sydney over eight days from April 21. He will be competing in the 17/18 Men’s 1500m, 400m and 200m freestyle and hopes to impress selectors looking for the next generation of Olympians ahead of 2020 Olympic Games in Tokyo. The national titles come after a hugely successful South Australia Age Championships for Bradley in January. He walked away with 13 medals including gold in the men’s 17 and under 1500m and 400m freestyle and 100m backstroke; seven slivers and three bronze medals, including in the Open Men’s 1500 freestyle. Swimming under Playford Aquatic Club coach Carole Margrison, Bradley represented South Australia at last year’s Pacific School Games finishing the event with three bronze medals. Bradley trains eight times a week and is aiming for make the next FINA World Junior Championships and in the long-term Commonwealth and Olympic Games. This entry was posted in Latest News, Media Releases on 23/03/2018 by St Patrick's Technical College. 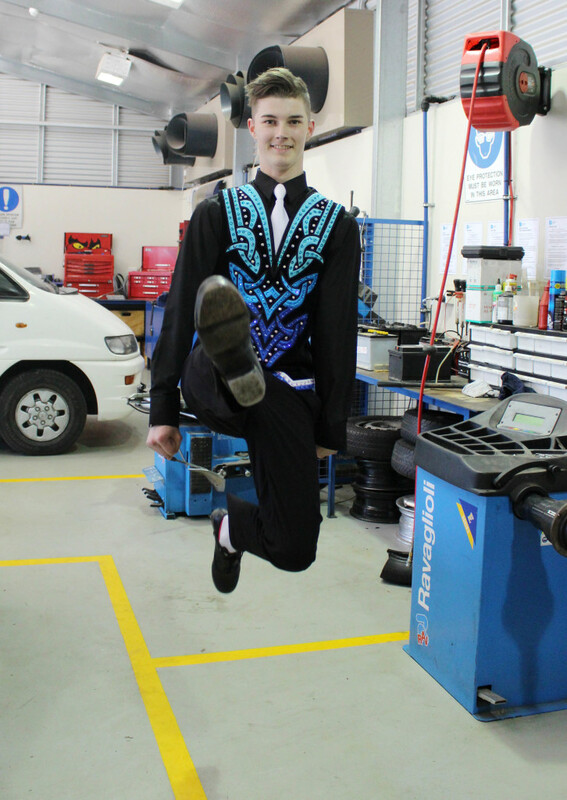 All things Irish will be celebrated at St Patrick’s Technical College today, including one aspiring auto electrician who has been following his passion of Irish dancing. 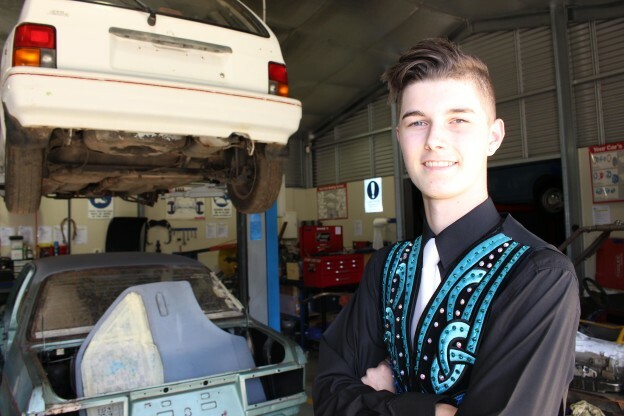 Ryan Harris, 16, from Elizabeth Vale is studying a Certificate II in Automotive Servicing Technology at StPatsTech by day and hitting the dance floor by night as one Cashel Irish Dancing’s most promising male dancers. Ryan Harris has found his confidence through Irish Dancing. Ryan competed in the national titles in 2017 with his mixed four hand becoming one of the top Irish dancing groups in Australia. He has won numerous competitions and has quickly progressed through grades, according to his teacher Bianca Marron TSRG. This St Patrick’s Day Ryan and his fellow dancers will be dancing their way across Adelaide with performances from Adelaide Oval to Parahills Community Club. Ryan, who has autism, said Irish Dancing had helped him build confidence over the years. When he first began he was unable to perform solo on stage. But after three years of dancing with a group, Ryan was confident enough to perform a solo dance at 2017’s national championships. He hopes to compete solo again at this year’s national titles. “I felt really accomplished. It can be hard for people with autism to perform our dances in front of a crowd of people,” Ryan said. Ms Marron said Ryan had come on “in leaps and bounds” since joining the club two years ago and was one of four teenage boys dancing for Cashel Irish Dancing. “We have four young men, which isn’t too bad, and it’s a really positive thing that three of those boys came into dancing late,’’ she said. Ms Marron said Ryan and the other boys were looked up to at the club by the younger dancers. StPatsTech College Principal Danny Deptula said Ryan was a great example of breaking stereotypes. “Ryan has not let society’s stereotypes about mechanics or dancing hold him back from following his passion,’’ Mr Deptula said. St Patrick’s Day has been marked by the College with a special Liturgy and Assembly. 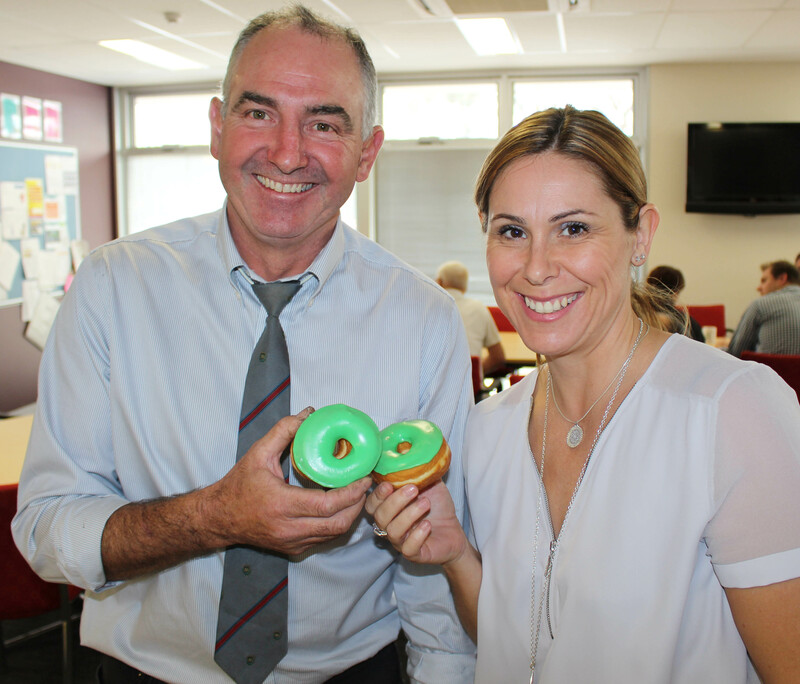 Archbishop Philip Wilson attended the event and students were treated to celebratory green donuts. 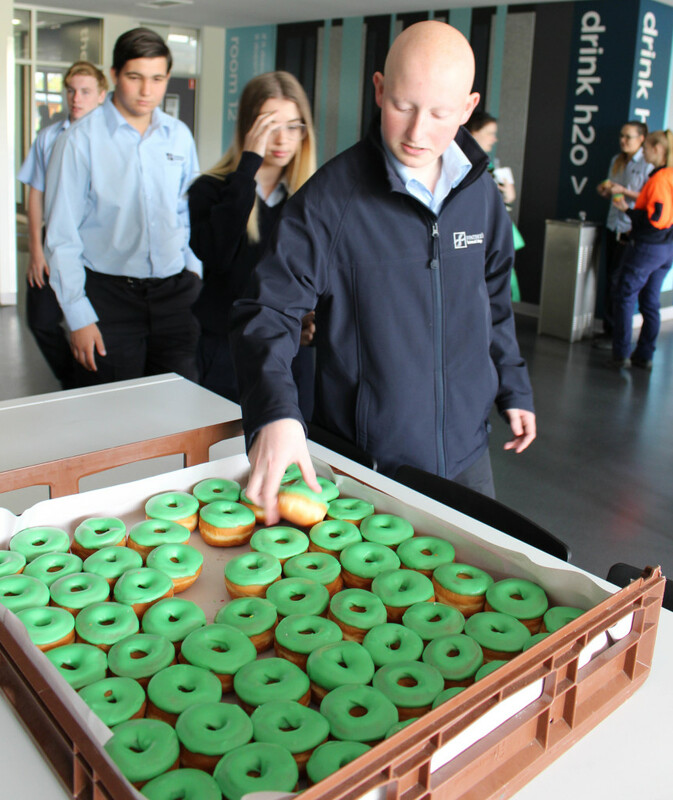 St Patrick’s Day 2018 was celebrated at St Patrick’s Technical College with a special assembly and liturgy and morning tea. 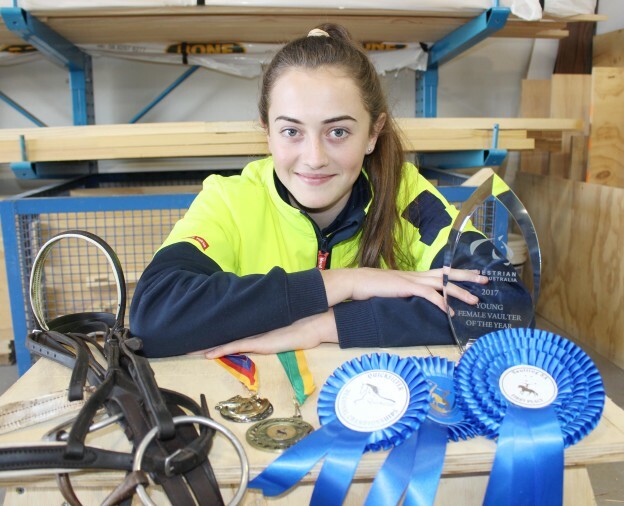 This entry was posted in Latest News, Media Releases on 15/03/2018 by St Patrick's Technical College. 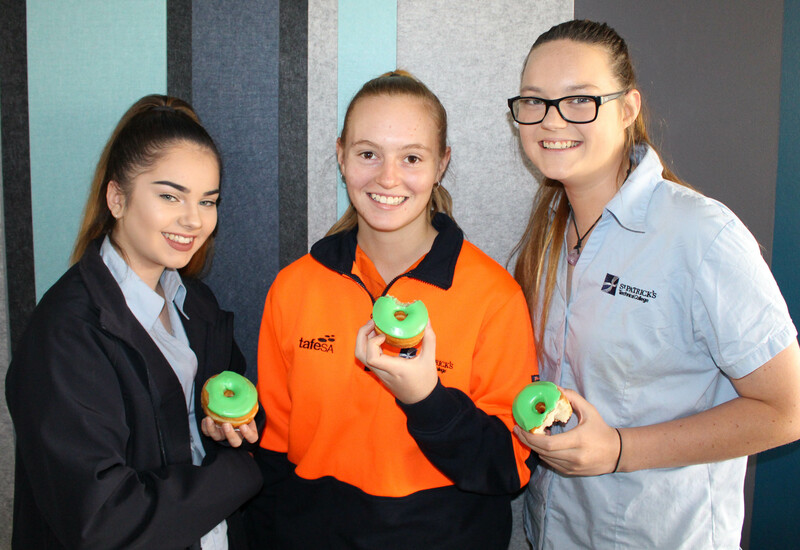 St Patrick’s Technical College has welcomed news that Elizabeth will become a centre for crane manufacturing after it was announced Victorian-based Australian Crane and Machinery (ACM) would set up a base at the former Holden plant. The $16-million announcement was made today and comes following an announcement late last year that Melbourne-based cyber security company VeroGuard Systems would invest $57.5 million in building a manufacturing facility in Edinburgh. 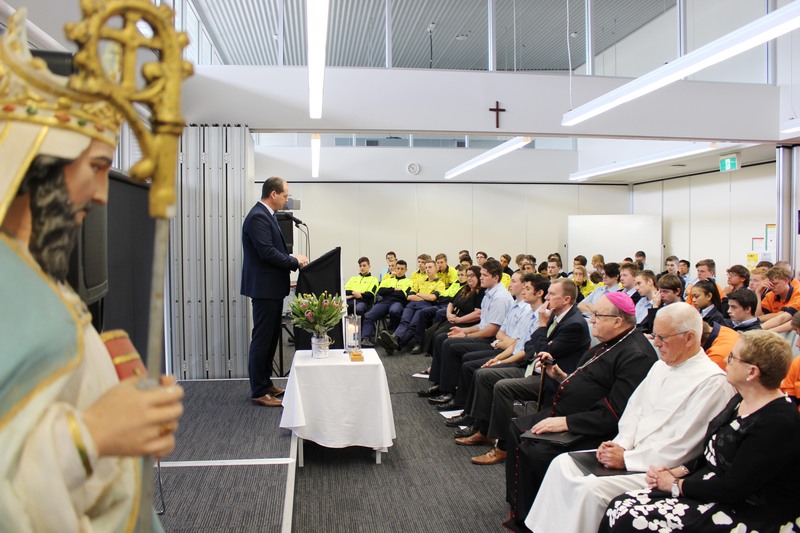 StPatsTech College Principal Danny Deptula said the 600 jobs expected from VeroGuard and 190 from the ACM manufacturing plant was great news for young people looking to enter a trade or technical career. “While we hope this will provide employment for the workers affected by the closure of the Holden manufacturing plant at Elizabeth last year, we also recognise that the next generation of workers in the North will greatly benefit by having these multi-million companies operating in the area,” Mr Deptula said. He said Automotive, Metals, Engineering and Electrotechnology students would be well positioned for apprenticeships with the companies. ACM will employ welders, fitters, auto electricians and machinists as well as automotive tradespeople. “The announcement today is proof there is a strong future for apprentices in northern Adelaide and clear career outcomes for young people interested in trades,’’ Mr Deptula said. ACM Managing Director Ben Potter said ACM chose the site in Elizabeth because of the presence of skilled labour, engineers and a stable workforce and political environment. “The location is excellent for export market shipping and access to wind farms where our largest units are used for maintenance. Of course, the weather is also great, which is important for us working and testing our machines in the field,” he said. ACM manufacturing centre will begin production early next year. The plant will cover up to 28,000 square metres and ACM will receive a $2.2 million grant from the Economic Investment Fund to establish the facility. ACM is the largest privately-owned manufacturer of cranes and Elevated Work Platforms (EWPs) in the Oceania region and exports to the United States, Chile and Canada. Today’s announcement adds to the success of Investment Attraction South Australia (IASA), which is bringing companies like Boeing and Technicolor to our state. Premier Jay Weatherill said the announcement by ACM was a “vote of confidence” in South Australia’s ability to manufacture and export technically-advanced, large-scale equipment to the world. “It will create a diverse range of jobs and apprenticeships in the metal trades. This is important in the context of creating and maintaining skill synergies across other industry sectors including defence, infrastructure, energy and mining,” Mr Weatherall said. This entry was posted in Industry Office, Latest News, Media Releases on 15/02/2018 by St Patrick's Technical College.